Is it just us or is it getting a little too hot in here? We suppose the only question is, can you handle the heat? Of course, you can. 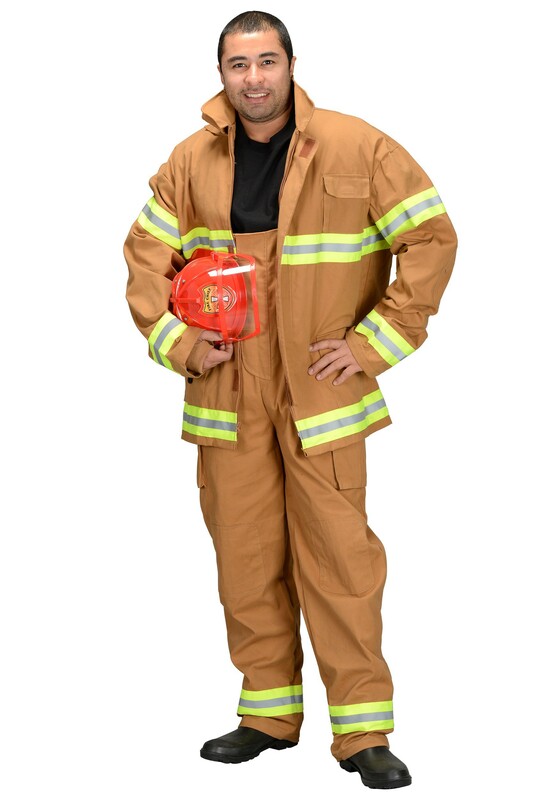 When you're wearing this Adult Firefighter Costume, there is no flame too hot or building too smoky that can stop you from saving the day! You'll be everyone's favorite hero. Just because you don't have any super powers, doesn't mean there's nothing super about you. Be one of the bravest of the brave this Halloween when you enter the party as a fireman or a firewoman. You'll look like you're ready to take on any challenge the world has to offer. Building next door on fire? Consider it doused. Nasty chemical spill down the street? Clean up is on the way. Kitten in a tree? No problem. With a matching jacket and overalls, lined in yellow and reflective silver accents, and your realistic looking firefighting helmet, you'll look like you just got the big promotion up to Fire Chief! Now besides the look, you'll want to make sure you have all the right equipment before you go running head first into any parties that are fired up. Take a look at the rest of the accessories we have available. Get your hands on a handy axe or a crowbar so you're prepared to bust down any door in your way. Also, don't forget something to teach that fire a lesson. Strap a firefighting hose backpack on or carry a trusty fire extinguisher by your side, so you can chill any hot-headed flames out. Once you're fully equipped, you'll be ready for anything!